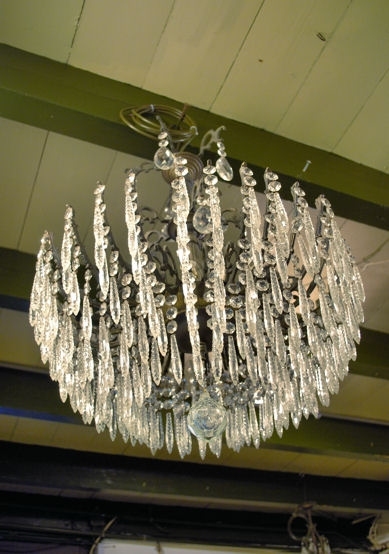 Stunning large antique brass basket type waterfall chandelier with an amazing amount (685!) crystals. Beautiful chandelier with lots and lots of crystal icycles, very impressive and elegant. 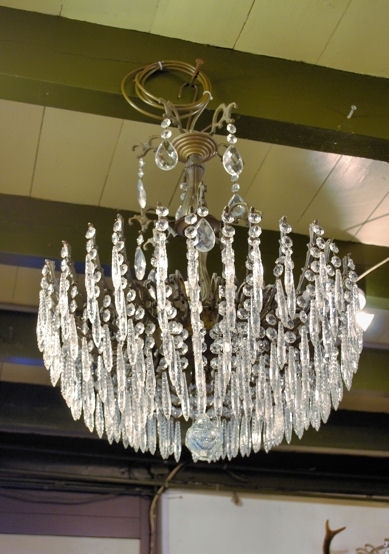 The chandelier is in very good condition, like all of our chandeliers it has been restored and rewired. We have cleaned it leaving the patina intact. 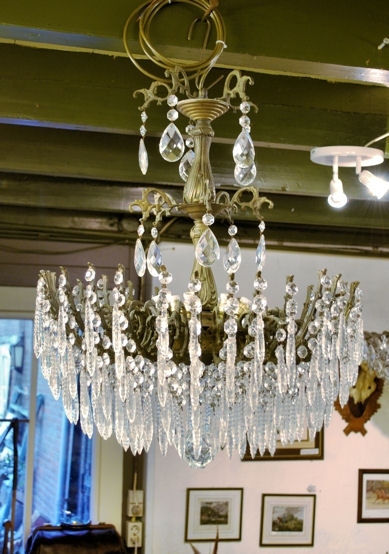 The chandelier is supplied with a length of chain for hanging, and is fitted with a power plug (British type) but can easily be hardwired to the ceiling. 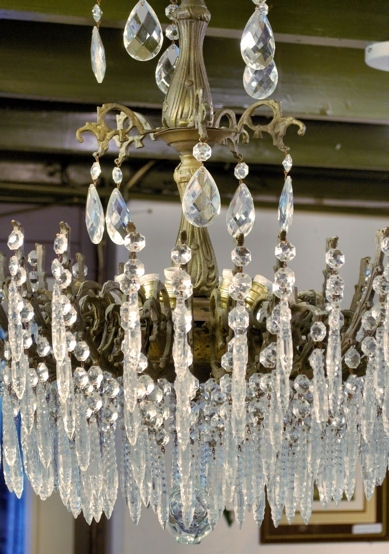 The chandelier measures ca. 65 cm tall without the chain and ca. 60 cm wide.